This library in the trees is the second of three new regional libraries to be added to the Louisville Free Public Library system as part of the facilities master plan prepared by MSR. A delicate insertion into a grove of trees, the building stands out in a region of Kentucky where clearcutting sites is standard practice. Tree preservation, daylight harvesting, and energy conservation serve as design guiding principles. 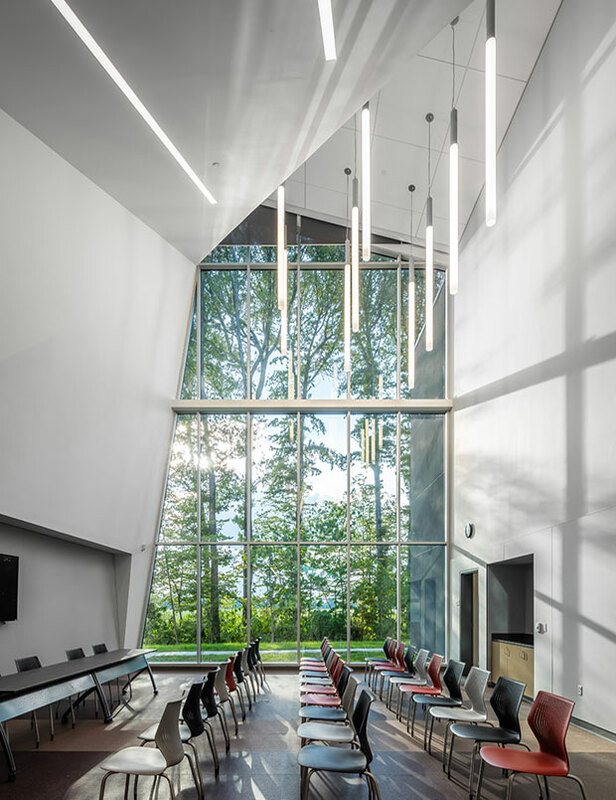 The design team oriented the library on the site to take advantage of forest preservation, optimal solar access, and stormwater management. Areas for reading and gathering extend into the landscape through planned contemplative views and seating in the parking grove. Certified LEED-NC v. 3 Gold, the project includes a range of energy-saving measures. MSR’s design team collaborated with executive architect JRA Architects and landscape architect MKSK.